Happy Thanksgiving week! As we enter this week of thankfulness, we’re excited to highlight a few of the things that have made this year at The Waters so amazing. Thankful Day 1: This year we added FOUR new amenities to our already impressive list! 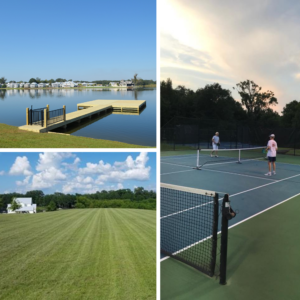 Click here to learn about our two new pickleball courts, the Field of Dreams, a new pier and the rest of our impressive amenities. Thankful Day 2: Without a doubt, our neighbors are the heart of our community. Since we can’t highlight every neighbor, we’re sending a shout out to this year’s new neighbors. 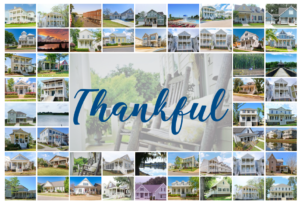 We are so glad to have you at The Waters and hope you love this beautiful place just as much as we do. Thankful Day 3: Our team loves The Waters and the River Region community. 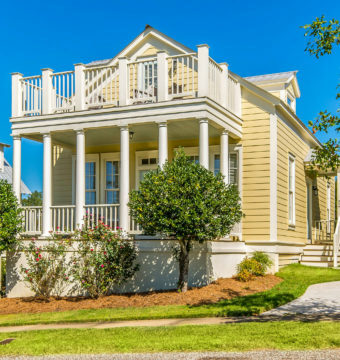 This year we were thrilled to be named the Montgomery Advertiser Readers’ Choice Best New Home Community/Development. 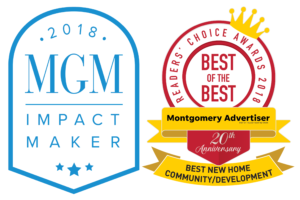 We were also excited to be nominated and honored to be a finalist for the 2018 Montgomery Area Chamber of Commerce Inaugural MGM Impact Maker Awards. We don’t just sell real estate, we’re in the business of building our community. Knowing that our efforts are making a difference is certainly something to be thankful for! Thankful Day 4: We had to reserve Thanksgiving Day for our wonderful team! We are so thankful for every person on our team. 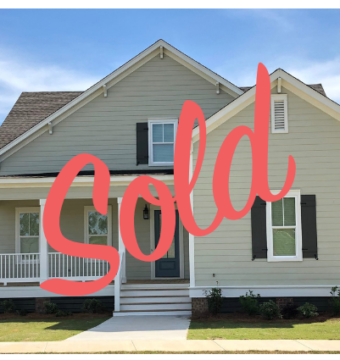 New Waters Realty is a family and we work hard to support each other in our professional and personal lives. We spend each day loving where we work, and we wouldn’t have it any other way! This year we welcomed Josie Russell Young to our team as a commercial and residential agent, agent Jeff Dickey put in the hard work and earned his broker’s license, and our wonderful leader, Jennifer Atkins, was recognized as one of River Region Living’s 2018 Women of Achievement. We can’t wait to see what’s in store for 2019 as our team continues to achieve big things. Thankful Day 5: Overall, we are thankful for all the FUN we have had this year! Planning great events to enjoy with our wonderful neighbors and friends makes every step of hard work worth it. This year we enjoyed another round of Music in May, many movie nights under the stars, our 2nd annual Pet Parade with the Montgomery Humane Shelter, Pike Road’s SUMMERFEST celebration, the largest neighborhood Fall Festival to date, a catfish rodeo AND a bass buster fishing tournament, we acted at the host site for this year’s 7th Annual Plein Air Paint Out with the Town of Pike Road, we hosted an Out of the Darkness Walk to help fight suicide, and our neighbors organized a wonderful Christmas on the Square event … just to name a few!! We have a few new events up our sleeve for 2019 – make sure to stay tuned to our events blog!